Race to Nowhere: the film argues that as a society, we have an endorsed an education that is about busy work and checking off as many boxes as possible, not on learning or producing passionate individuals. Photo courtesy of Carolina Charters. Waiting for Superman: Perhaps the most well-known of the films, Waiting for Superman touted charter schools as the way to save the U.S. education system. The film suggests that those who are "chosen" have essentially won the lottery, and the rest of students are failed by having to attend their local charter school. Since the film there have been several commentaries and videos created debunking the data presented in the film. Among these are this review by Diane Ravitch and the Inconvenient Truth behind Waiting for Superman. TEACH: Not deterred by the rancor raised by his film Waiting for Superman, director Guggenheim followed his first documentary with Teach. Teach focuses on the difficult, rewarding and at times heartbreaking profession of teaching by following the stories of four educators. It is worth a view for teachers. I leave it to you to form your own opinion. Beyond Measure: "weaves the stories of four public school communities across the country who are challenging the wisdom of outmoded, data-driven practices. They’re ushering in a more empowering, equitable and student-centered education culture from the ground up, and they’re seeing happier teachers, healthier students, and more engaged learning. " Doing it for Me (created by students): "Doing it for Me is a unique documentary, exploring the dropout crisis in Washington, DC from a young person's point of view. " 180 School Days: Inside an American High School: This film documents 1 year at DC MET, an alternative high school. 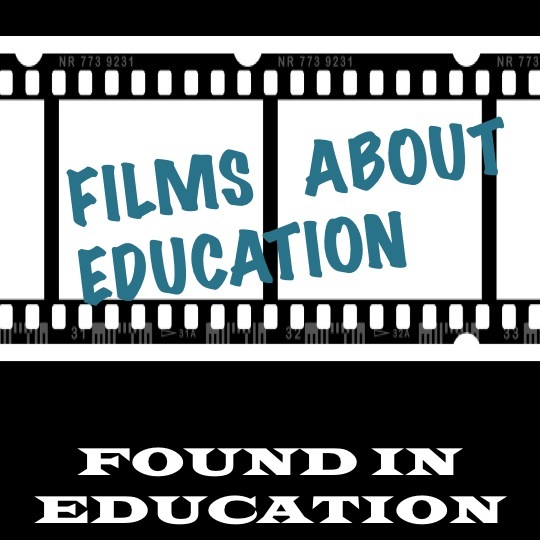 For a great list from Edutopia of some of the films over the last six years, you can look here. What's on your watch list? Found in Education (F.I.E.) is a weekly blog post on education policy, teaching tips, products, and stories related to education that I find over the week. See something I should know about? Please send your ideas. Comment here or leave me a message on Facebook, on Twitter, on Pinterest, or at the store.